JAKARTA, LELEMUKU.COM - The Ministry of Tourism (Kemenpar) is ready to support the promotion of tourism destination potential of the District of Sula Islands, North Maluku Province. Demographically located between the crossroads of Wakatobi and Raja Ampat tourist areas, it is ideally developed as marine tourism and special interest tourism for diving enthusiasts. "Kemenpar ready to help the Government of Kabupaten Sulaun Sula to conduct market review. Frankly until now we do not have a study of tourism about the Sula Islands. The regional characteristics are similar to Wakatobi and Raja Ampat as world class marine tourism destinations, both of which have the largest markets of Japan and Europe, "said I Gde Pitana, Deputy of Marketing of the Ministry of Tourism, during a press conference preparation for the Maksaira Festival 2018, at Gedung Sapta Pesona Jakarta, Kemenpar office, Monday (09/04). According to I Gde Pitana, Kepulaun Sula Regency has potential as a marine tourism destination, especially for diving and fishing. However, holistic study of what characteristic and excellence of this region is needed to be developed into special interest tourism. Whilea the Sula Islands Regent, Hendrata Thes stated, his regency wants to develop as a marine tourism destination by relying on the potential of the region, "We want to be different with marine tourism destinations or Raja Ampat Wakatobi. 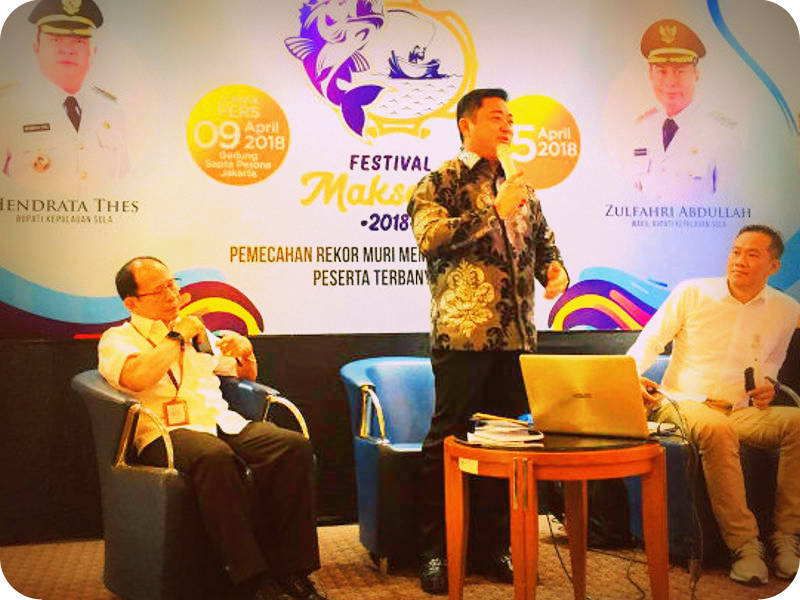 "So we need support from Tourism Ministry to conduct a study of the benefits of Sula destinations as a tourist attraction Sula Islands, "said Hendrata Thes.